Success for Killina in Credit Union Quiz. 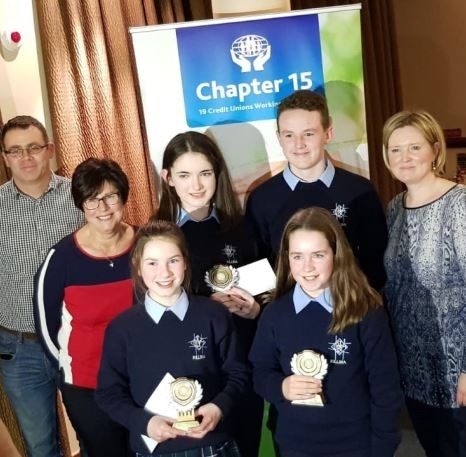 Home » News » Success for Killina in Credit Union Quiz. 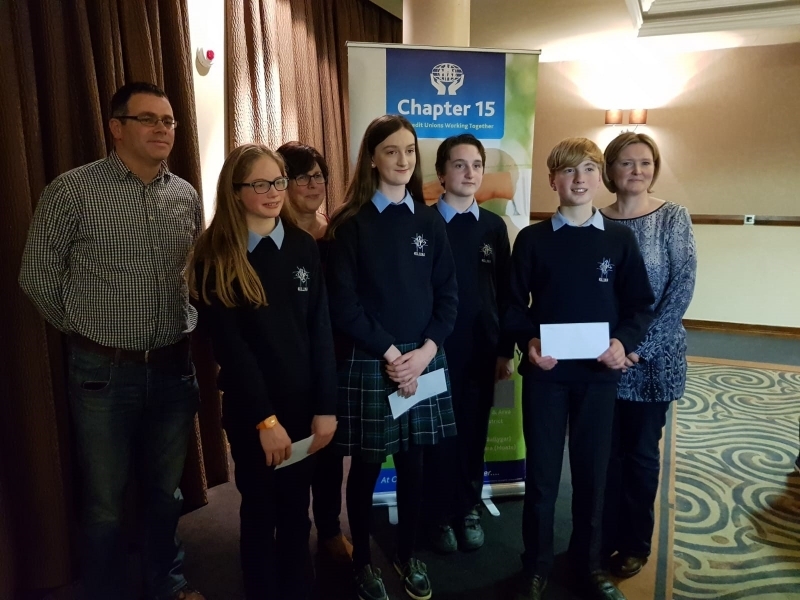 Killina students placed first and second in the Chapter 15 Credit Union quiz held in the Silver springs Hotel in Athlone on Sunday last. Competing against schools in Longford, Offaly, and Westmeath the students did well to take the top two spots. Having finished first and second in the Clara district Credit Union quiz they were delighted to replicate that success. Pictured are the winning team of, Eva Dunican, Therese Powell, Finlay O Brien and AoibhÍn McDonagh, with John Cotter, Principal, Chairperson Credit Union, Chapter 15 and teacher Deirdre Craven The Runners up were Aisling Cotter, Emily Molloy, Sean Keeney and William Corble.